Are you working on changing the products in your house to as many natural & non-processed items as you can? Some of the products in your pantry that may get overlooked are the spices & seasoning mixes. However, these mixes are such simple, quick recipes – you just need to measure out the ingredients, mix all together & then store. Simple as that! 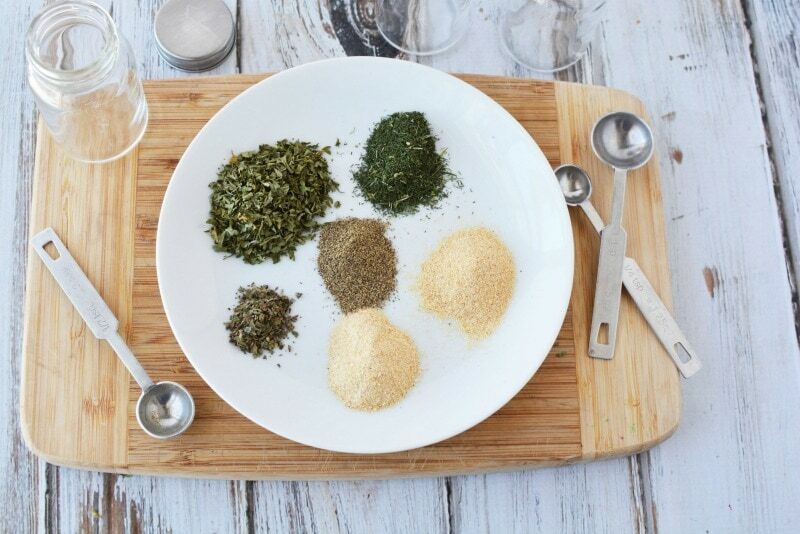 Plus, the best part is that you not only know all the ingredients that these pantry staples have in them, but this homemade ranch seasoning mixture is very economical and frugal to make, instead of buying the individual packets, as you can buy the ingredients in bulk to save money & then make larger quantities to have on hand. You can store these in glass jars, which can also be more appealing to look at in your pantry than numerous packets of seasoning or spice mixes. I recommend trying or researching what you like in your mixes and making a small batch first to be sure your family likes the combination. This final result of the homemade ranch mix is the result of me tweaking the ingredients to fit our taste buds, so you may want to do a trial size first to make sure these are the exact amounts you want in your seasoning mixture. Mix ingredients together. Store in airtight container. This recipe is the equivalent of a packet of Ranch seasoning/dressing mix. 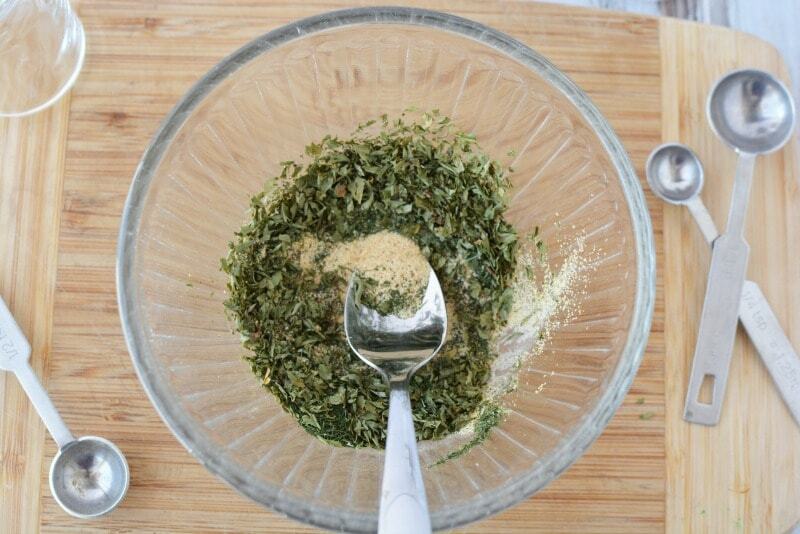 *You can use this dried ranch seasoning mix in recipes that call for Ranch Dressing packets. This recipe is the equivalent of one packet of Ranch dressing mix in recipes. 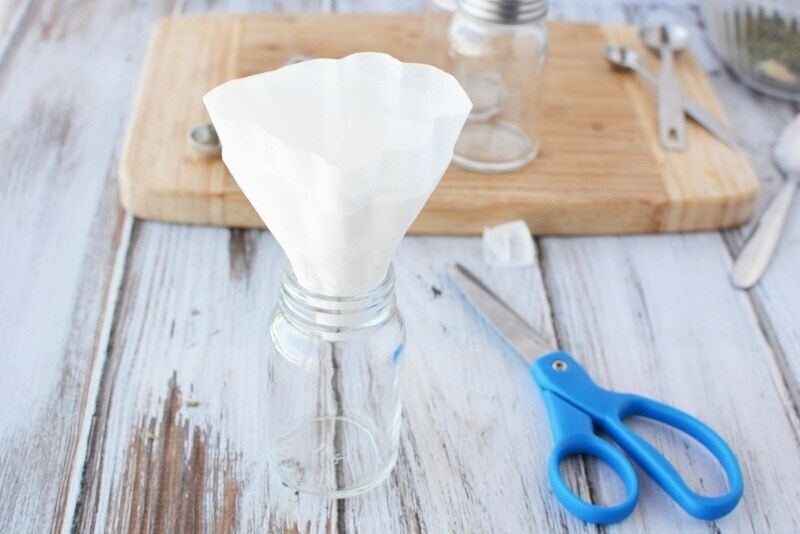 If you don’t have a kitchen funnel, the easiest way to get the Ranch Seasoning mixture into your storage jar is to create a “coffee filter funnel”. 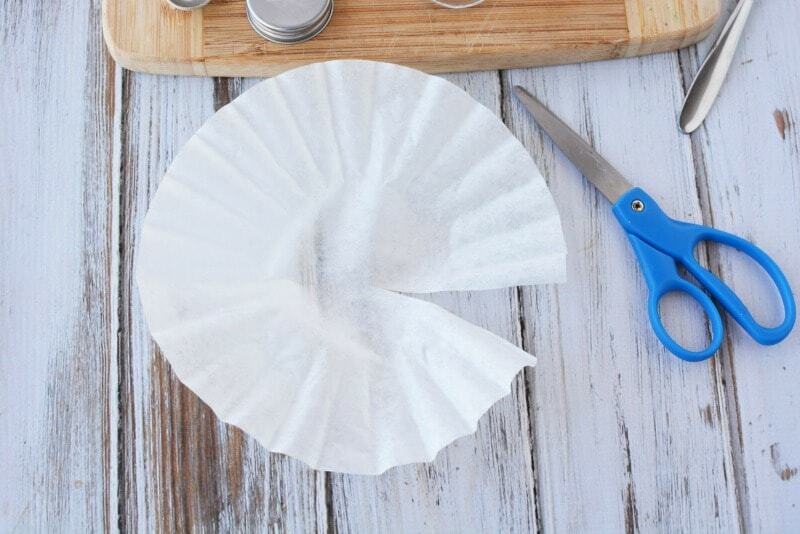 Flatten a coffee filter and cut a slit from the outside to the middle. 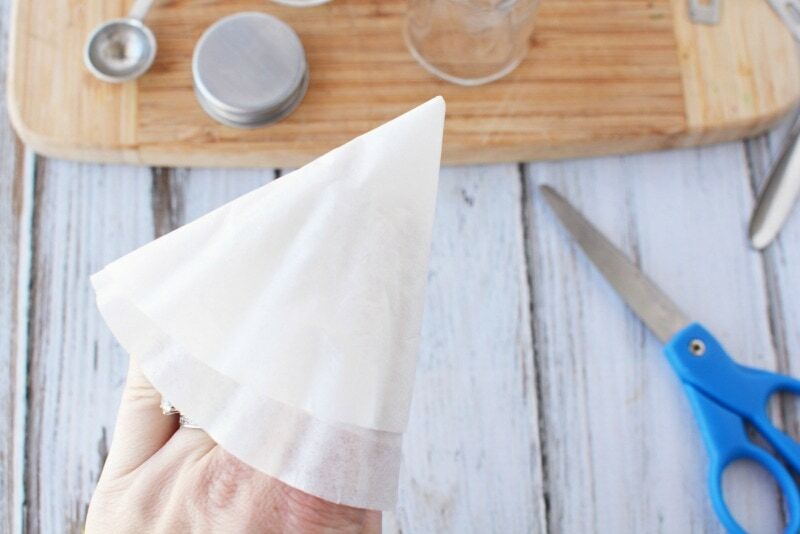 Roll the coffee filter around your fingers as shown. Hold tightly and cut the center tip off. Place the filter funnel into the jar and carefully spoon your spices into the funnel. If the funnel gets plugged, just toss the handle of your spoon into the center and the spices should pour freely into the jar. 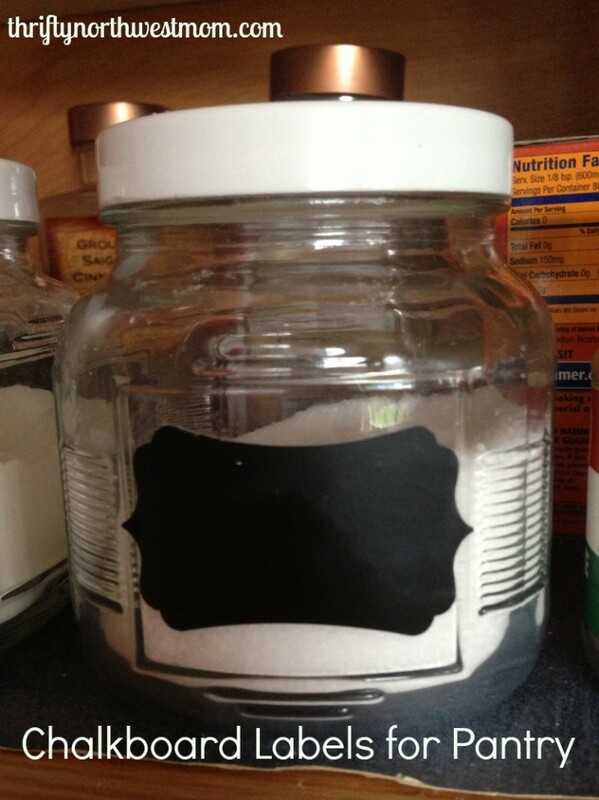 You can find Chalkboard labels in stores such as Michaels, Walmart, Hobby Lobby, etc or find quite a variety online at Amazon. Here’s a printable version of the DIY Ranch Seasoning Mix recipe for you to print off to put in your recipe binder or notebook. 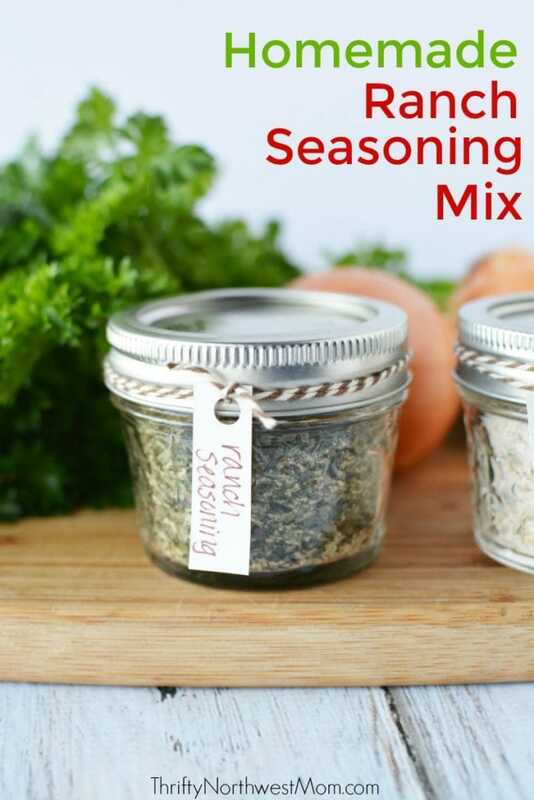 This easy homemade Ranch Seasoning Mix is a frugal & non-processed alternative to Ranch seasoning packets from the store. 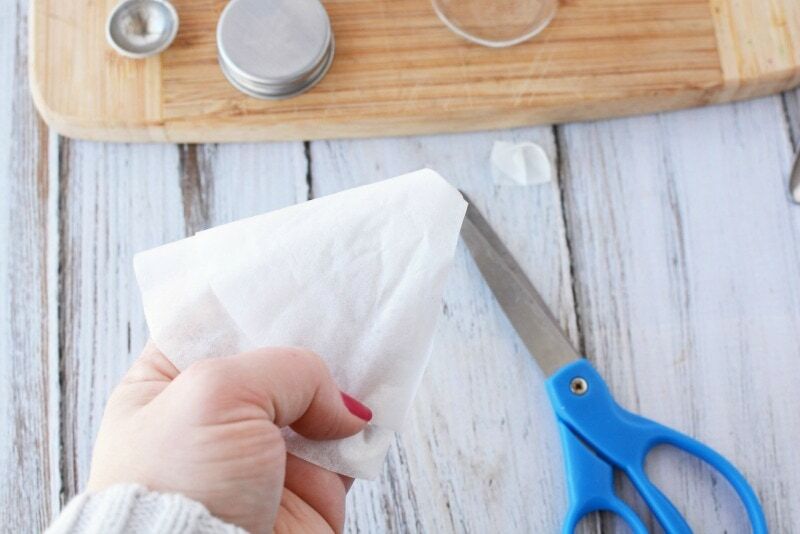 We’d love to know what items you make on your own at home (those typically pre-packaged in the stores) and how you store them!! Find more frugal living recipes and DIY ideas here and all of our recipes on our Recipe Index page. This is a great idea! I can’t eat most of those prepared mixes because I’m sensitive to MSG. I can’t do the bullion cubes either but I am SO excited for the ranch mix! I was missing ranch in my life!!! Thank you for this recipe! I have been wanting to try a few new recipes with a ranch packet and couldn’t bring myself to use the packet! Oh I’m glad you can try this alternative. Let us know how it works out for yoU!